[FREE Download] Get Your '2018/1439-40 H' Wall Calendar Today! 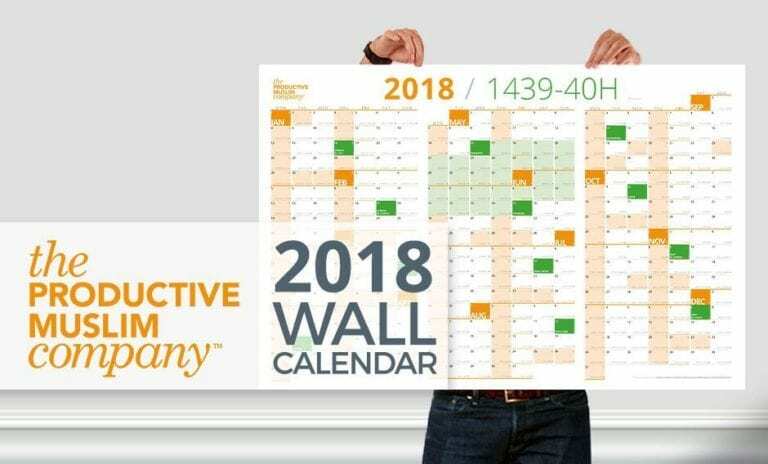 [FREE Download] Get Your 2018/1439-40H Wall Calendar Today! It’s finally here! Productive Muslim’s 2018/1439-40 Wall Calendar is now ready for you to download. Let’s make this year one of your most productive years spiritually, physically and socially. This is our every year’s resolution. Follow our blog, make use of our Academy, Masterclass, and all the work we’re producing to help you live The Best Version of Yourself, insha’Allah. Don’t forget to share this with all those who can make a good use of it, and tell us, where will you hang your own calendar? Let us know in the comments.